I want to say thank you to my sales manager in camella asia plus to gave me a cute and simple cherry mobile phone dual sim as her Christmas present to me. I promise to care the phone because it is very important to me to use on how to contact my client. Just because the phone is dual sim I already used two sim cards to further my name in the aspect of sales. Some people are like various feature phones that will appear at the local market as some Pinoys still not that comfortable to use a smartphone. Here’s another especially for those who want a mobile TV, the Cherry Mobile A9TV. Anyhow the cherry mobile phone is very affordable the priced is P999 only with a good specs and I like the color because as you can see at the back of the phone it looks like iphone phone 🙂 . Anyway thank you very much t my sales many for this early Christmas present. Honestly I don’t like to use touch screen cellphone because for me it is hard to use it especially if I am quickly to text. Well, last April 19 to 21 its 3-day sale at SM City Lucena, my hubby and I was tried to look the touch screen cellphone. He is very interested on Huawei Ascend G300 Touch Screen Cellphone, actually we have no cash but my SIL was offered to borrow again her credit card. 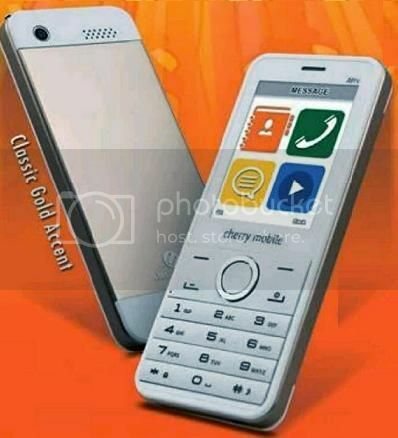 We just bought the phone for installment basis it is 740.83 monthly, 12 months to pay for the total of 8,890. I say that my sister is also blessed now. For the reason that she received a new laptop from her boyfriend, actually she did not anticipate it aside from that she has promoting to her job. I am pleased to her life today because of all the blessings she received. Anyhow, she doesn’t know what to do to her old laptop, I just asked her to sell it in sell books online for the safety and secure. The old laptop of my sister is 1 and half years old only, so we hope to sell it easily and quickly because she is extremely suspicious to all her gadgets. A truly effective and technologically advanced all-in-one internet security suite is the ESET Smart Security. It has many features that make it highly recommended not just for home use but for small businesses as well. It has antivirus, antispyware and anti root kit protection and Host Intrusion Prevention System which protects the system registry and other active programs. Its firewall guards against remote attacks and malicious outbound communications and keeps your data safe from identity theft and other scams. It has a parental control which prevents your children from accessing sites that are unsuitable. Furthermore, it has anti-theft feature that lets you find your missing laptop and provides you with tools to recover it. Honestly, I cannot afford to buy the blackberry cell phone because obviously it is more expensive than a regular cell phone. I also use my money to the most important things need in our life. But this is one of my dream, is to have my own blackberry cell phone ha-ha :-). By the way I like this phone even they have many new model or new branded launched today. Actually, I also satisfied to my old model nokia C3 phone. 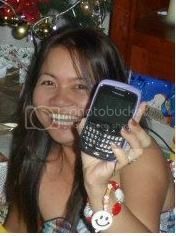 But I was surprised yesterday during New Year eve my niece from Alberta Canada gave me a blackberry curve phone as her Christmas presents. I’m glad because I’m not expected to receive the phone. Thank you my niece for the blackberry cell phone, I really appreciate it. My current computer is almost 5 years old. It is a type of CRT monitor, it looks very blurred and I did not use it clearly. Then I decided to buy a new LCD monitor. My friend told me, why did you buy a new laptop? because the advantages are when you like to take them at work, mall, or during your travel and this laptop is the most suitable to keep your computer safe and secured. Well, I told her that I need to earn money to buy :-), because it expensive. But for now I need to buy a new LCD monitor for my daily works and lifestyle. I just look in computer store what is the good and cheap amount of LCD monitor :-). Then I decide the Hanns-g monitor, 14” and it cost Php 3,780.00 or $92 it‘s affordable price. And have been very happy with my purchase the bezels and design can look a bit dull sometimes, but the quality is good. The colors are rather good, and the monitor itself looks fantastic, definitely look good. I am very comfortable to use it.